Matthew Zammit – new San Ġiljan deal. Matthew Zammit has pledged his future to San Ġiljan ASC after putting pen to paper on a new contract which runs until 2022, the Premier League side announced this week. Left-hander Zammit has played a key role in helping the Saints end their trophy drought in recent seasons. 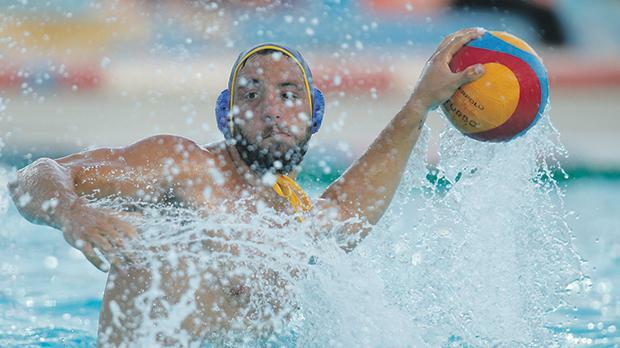 ‘Ix-Xellugi’ (Lefty), as he is affectionately known in the waterpolo circles, played a starring role in 2015 in particularly as San Ġiljan claimed a memorable league and cup double and last year they successfully defended their KO competition title. “By extending my contract until 2022, I am giving a clear sign that San Ġiljan was and will always remain my club, from my early teenage years until my retirement from the game,” Malta international Zammit told Times of Malta. Club president Daniel Aquilina was relieved that 2014 Player of the Year Zammit had turned down other offers and committed himself to San Ġiljan ASC long term. “We have won the last five major trophies from a possible six and our intention is to keep building on the success obtained in recent years with particular focus on the next National League title which would be our 10th if we finish on top,” Aquilina said. Zammit’s decision to extend his stay with San Ġiljan is a major coup for the Saints who have already secured the services of Montenegro powerhouse Aleksandar Ivovic. Ivovic, currently with Pro Recco, has agreed terms to play for San Ġiljan next summer. During the last 12 months, San Ġiljan have also made sound investment in their squad as upcoming trio Dino Zammit, Ben Plumpton and Andreas Galea are currently playing for Serbian giants Vojvodina before returning to their fold.